This exercise is recommended for beginners. 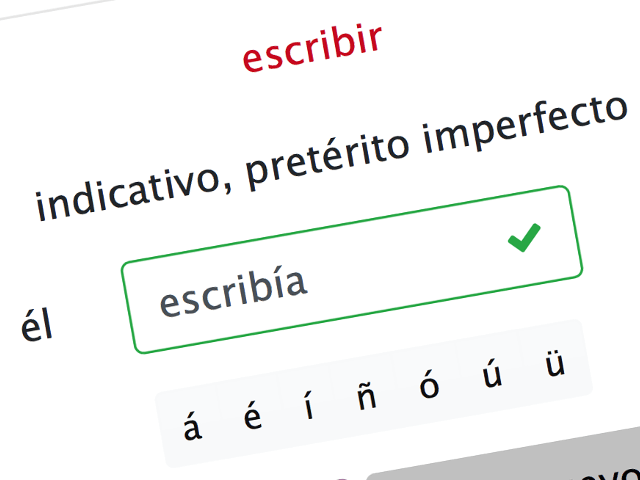 Start by practising regular verbs in the present indicative tense and while progressing switch to irregular verbs in other tenses such as past (préterito) and the future (futuro) tenses. Already more advanced? In case you are already comfortable with a variety of regular and irregular verbs, practise them randomly. 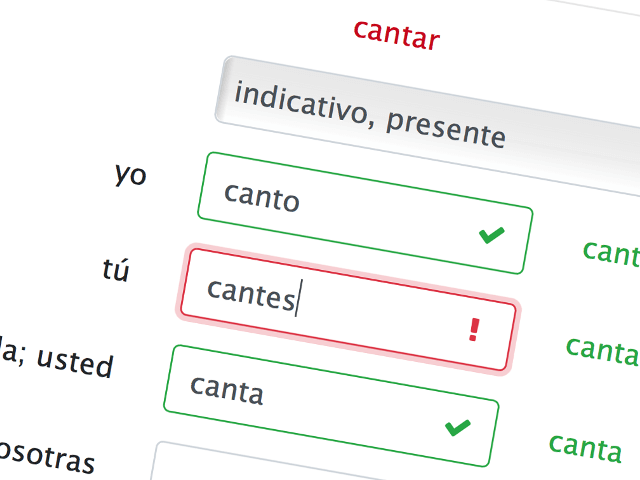 Choose one or more tenses and a verb category and enter the correct conjugation. Practise French verbs with C'est facile!